New research finds that 3.8 million individuals in Ireland watch TV every day. 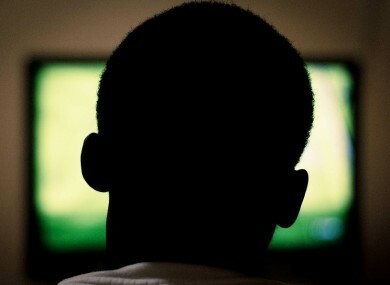 MAYBE IT CAN be put down to the bad weather, but the latest report from Television Audience Measurement Ireland (TAM) reveals that Irish adult TV viewers are spending almost three and a half hours watching television everyday. TAM found that 3.8 million individuals in Ireland watch TV every day, which includes 1.29 million people under the age of 35. Official TAM Ireland/Nielsen figures for 2013 show that despite technology now allowing us to record our favourite programmes, over 91 per cent of us are watching “live” TV – or viewing it as it is scheduled. Only 9 per cent of people are watching TV that is “time-shifted” on their Sky+, UPC+, VCR or DVD, despite 54 per cent of all TV homes in Ireland having one of these. TAM’s research also found that on average the Irish adult viewer watched 39 ads every day during 2013 with the biggest advertisers being Procter and Gamble and Unilever. Last year, TAM Ireland commissioned Ipsos MRBI to carry out a study of people’s viewing habits on other devices and found that people spend 89 per cent of their total viewing time watching TV and 11 per cent of their viewing time on other devices. Jill McGrath CEO of TAM Ireland said it is fantastic to see the strength that television continues to have in “grabbing the nation’s attention” adding that the more choice consumers have on TV the more they watch. TAM Ireland was set up in 2007 to provide the industry-standard television audience measurement service for broadcasters and the advertising industry and is owned by RTÉ, TG4, TV3, Channel 4, UTV, Sky, Viacom and Setanta. Email “How much TV do you watch? If you're a typical Irish viewer it's over 3 hours a day”. Feedback on “How much TV do you watch? If you're a typical Irish viewer it's over 3 hours a day”.